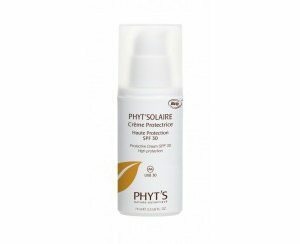 Reformulated high protection sun care. The size has been increased from 40ml to 75ml and the container now comes with a pump. A fluid texture, invisible after application, rich in anti-ageing vegetal ingredients such as virgin Sesame, Jojoba, Argan oils and vegetal Vitamine E.
Ingredients include: Zinc Oxide, Titanium dioxide, Shea Butter, Argan Oil Sesame oil, Lavender oil, ylang ylang, rosewood and Vit E.